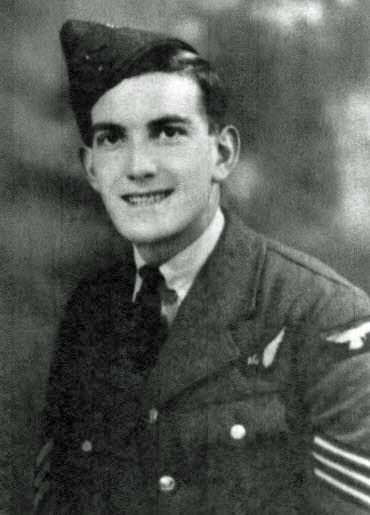 Sergeant Robert Roberts of 194 Squadron, Royal Air Force Volunteer Reserve died in Southeast Asia on 6 May 1944. He is commemorated on the Singapore Memorial in Kranji War Cemetery which bears the names of more than 24,000 casualties of the land and air forces of the Commonwealth who died during the campaigns in Malaya and Indonesia or in subsequent captivity and have no known grave. Robert is remembered on the Greenfield War Memorial. From family members, especially Enid Lewis, we have learned of his family connection to Buckley, and we believe that Robert is the R. Roberts who is commemorated on the Hawkesbury Memorial. From family recollections Robert completed a six-week training course at Blackpool (which was a major RAF training centre) and died only six weeks after going to war. This would mean that he joined up around the end of January 1944, probably immediately after he was married. He joined No. 194 Squadron which had been formed as a transport unit in India in 1942. The squadron moved to the Burma front in January 1944 and switched to dropping supplies flying the DC-7 Dakota aircraft. We have not found any information as to how Robert died but since he is remembered on a memorial to the missing it seems likely that his plane was shot down or crashed over Burma and was never found. The Singapore Memorial bears the names of five other members of the Royal Air Force Volunteer Reserve who died on 6 May 1944: Flying Officer Duncan Farquhar Macdonald, Flight Sergeant William Robert Wiseman, Flight Lieutenant Peter William Henry Wood, Sergeant Andrew Cameron, and Sergeant Jack Dunkley. Along with Serjeant Robert Roberts they may represent two aircrews who were lost on the same day, or one aircraft that was carrying more than the usual three or four crew members. Robert was the husband of Mona Phillips Roberts (nee Winter) of Greenfield. Robert and Mona were married in the first quarter of 1944 in Holywell District. Mona was born in 1921 to father Daniel Winter, a dairy farmer and mother Harriett Philips. She died 24 September 2017 in Holywell age 96. Her obituary refers to her beloved husband Bob whom she survived by 73 years. Robert was the son of Edward and Caroline Roberts born in the March quarter 1923 in Holywell District. Edward Roberts was born 17 April 1877 (as recorded in the 1939 Register). From the census we know he was born in Buckley. He may have been the son of Alice Roberts, a widow living on Buckley Mountain in 1881 and 1891, and Windmill Lane in 1901. In 1911 Alice was living in Liverpool Road with her son in law Edward Messham, a colliery fireman and his wife Annie two granddaughters, Caroline age 4 and Clara Annie age 6 (they would later have a son Edward). Caroline, later Carey or Carrie, was the daughter of William and Eliza Chirgwin (nee Trevaskis) born in Buckley, 12 May 1883. The Churgwins were living in Lane End in 1891, showing both parents born in Cornwall. In 1901 Carey was a servant with the Hughes family, General Drapers at Lane End, now 17. Edward and Carrie were married in 1907 in Hawarden District. In 1911 they were living at Hawkesbury, Buckley (in a cottage on the grounds of Hawkesbury Hall) with daughter Evelyn 2, and son William Edward 11 months. Edward is a bricklayer age 34. The census states there are 3 children living but only two are listed. In the 1939 Register, Edward and Caroline were living at King’s Avenue, Holywell with William Edward born 3 May 1910, Annie (later to marry Henry Garratt) born 24 Feb 1919, and one other resident with a closed record. From GRO records, the complete list of children was: Noeline 1908, Eliza Alice 1909, William Edward 1910, Caroline 1912, Reginald Trevaskis 1913, Annie 1919, and Robert 1923. From this, Noeline and Evelyn appear to be the same person. Noeline was born 23 January 1908 and baptised 3 April 1908 at St. Matthews. Enid Lewis is the daughter of Noeline who married Stephen Weigh in 1930. Sadly, Enid passed away in March 2018 shortly after she identified R. Roberts and provided information for this page. Edward Roberts of 7 Kings Ave. Greenfield, Holywell died in 1955, and Caroline died in 1964. From the census, Edward Roberts had a brother John, two years older, who would have been the uncle of Robert Roberts. John married Elizabeth Priscilla Shone in 1902 and in 1911 they had a Draper’s business in Lane End with children Elizabeth A, Gilbert K, Herbert P and Sarah P. It appears that this business became Roberts Gentlemen’s Outfitters, Lane End located near the Palace cinema. Adverts for Roberts Gentlemen’s Outfitters, with shops in Lane End and Mold were reproduced in Buckley Magazine 42 (2018) from the period 1920s to 1941. In the 1937 Register the family are living at the Mold location, Manchester House.